We have new information about an exclusive story we brought you in July. 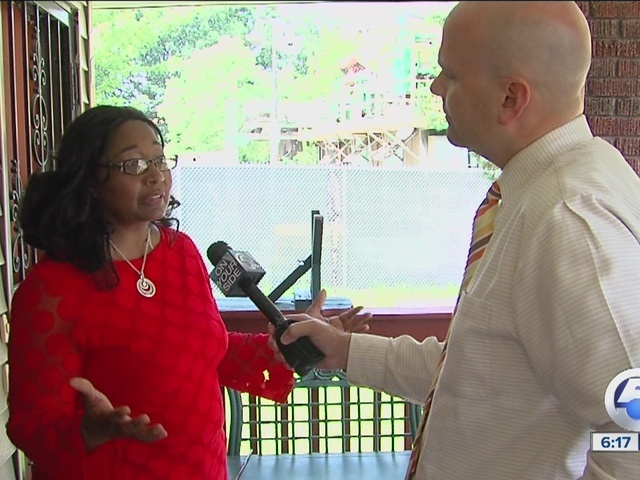 A Cleveland woman who claims a big dig has caused her big problems is now getting a response to her concerns. Sylvia Reeves lived right next to a massive federal project that was placing in new sewer lines, with work at times going around the clock 24-7. Shortly after our story aired in July, Reeves met with representatives from the Northeast Ohio Regional Sewer District. That group is responsible for overseeing the various digs happening in our area. You'll recall she claimed the digging operation affected her health, she couldn't sleep and her daycare business that she runs in her home lost customers. I talked with a representative at the sewer district today. Officials reviewed her complaints and decided the NEORSD will not compensate her, calling her requests unreasonable. Reeves told me the next step is a lawsuit and that the sewer district has wasted her time.